Weaponised Plastic: has Lego become locked in an ‘arms race’? From an increase in weapons, violent situations, to angry expressions, researchers have found Lego land is becoming increasingly brutal. 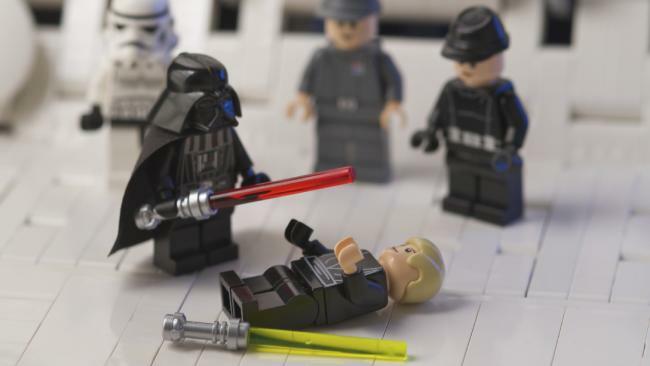 The study, published in the peer-reviewed journal PLOS ONE, believes Lego sets have become more violent in a bid to keep childrens’ attention in the digital age. 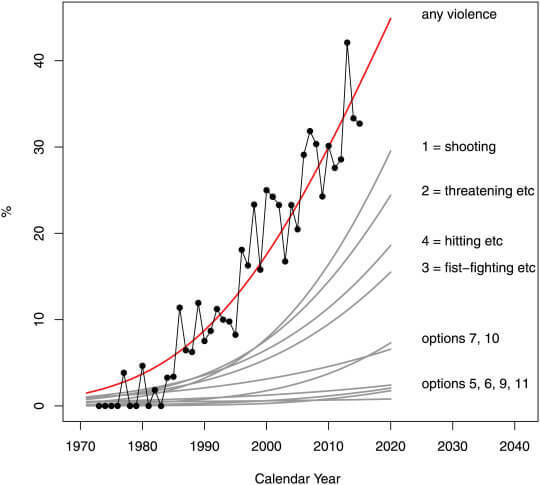 The researchers concluded that Lego “showed significant exponential increases of violence over time”. According to the study, weapons are now included in 30% of Lego kits. In addition, the research examined Lego catalogues from 1973 to 2015 and found the scenarios depicted in the company’s kits had also become more violent. “Currently, around 40% of all pages contain some type of violence; in particular, scenarios involving shooting and threatening behaviour have increased over the years,” it found. Bartneck also conducted separate research, released in 2013, which found the number of angry expressions on Lego figures was rising as the number of happy faces declined. The advent of electronic games has threatened Lego’s future. The brand was forced to reinvent itself after it almost went bankrupt during 2003/04. It also created lighthearted computer games and animation along the same lines, paying off when “The Lego Movie” was a surprise hit in 2014. The result has been 11 straight years of growth, with the company announcing earlier this year that net profit in 2015 soared 31 per cent to $1.95 billion.